canopic jars. Tombs of the Kings, Thebes. 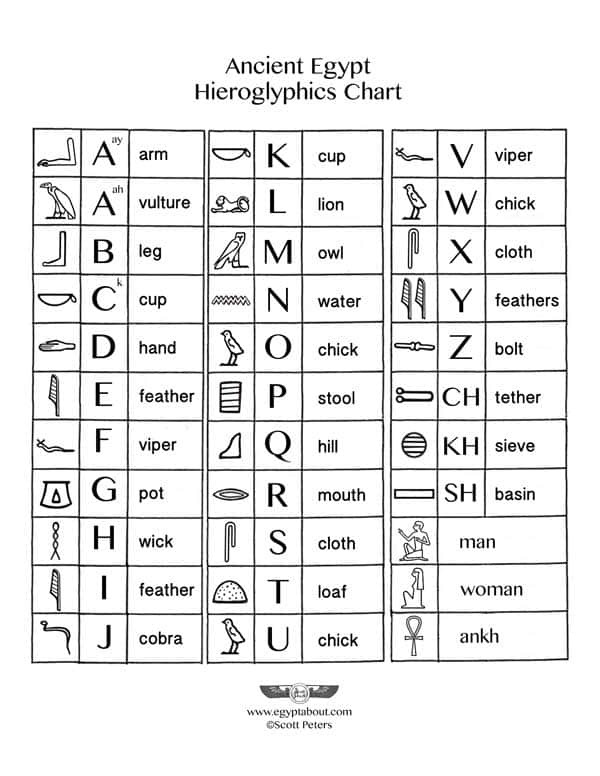 What is the one thing that ancient Egyptians are most famous for? Some might say pyramids, and others might say golden artifacts like the King Tut death mask. But I believe it's mummification that really sets them apart. What is mummification? It's a technique ancient Egyptians perfected that allowed them to preserve bodies after death. Egyptians did this because they believed that when living beings left this life, they moved on to another plane of existence. Why did they do it? Egyptians felt that when a person reached the afterlife, he or she would need his or her body to continue living there after death. Just like in life, the body would be needed to eat and drink, to walk around, to talk to people, to play games, and to generally do all the things a person does when they're still alive on earth. With this in mind, priests and surgeons worked together over hundreds of years to develop a method of mummification that is both impressive and effective. Because of their work and dedication to their craft, mummified humans who are thousands of years old can be observed today. We can look into the faces of people from a lost era, many of whom still have their teeth and hair, and get an idea of how they appeared all those ages ago. 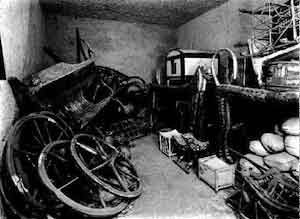 When mummifiers started out, they simply wrapped the bodies and hoped that they would last. Of course, this was not the case. Unfortunately, the bodies would decompose and eventually disintegrate over time. The next step in the evolution of mummification was when priests and surgeons came up with the idea of drying a body out before commencing the wrapping process. No doubt they had seen how well desiccation could preserve foodstuffs such as fruits. So they set about finding a way to make this happen. The solution was to use a form of salts called natron. The body would be soaked in a natron-based mixture to draw out as much moisture as possible. This method was an improvement on the first, yet problems continued. The bodies still turned to rot. They had to figure out why, and how to prevent it from happening. The next step in the evolution of mummification was a significant one. Mummifiers came up with the idea of removing the organs from the body. They realized that this could create a dry shell that would succeed at retaining the body's shape--and that is exactly what they were searching for. Of course, there was some concern about removing necessary organs in that they worried the body would not function without them in the afterlife. They would remove the organs! They would store each vital organ outside the body in its own special, sacred jar. Each jar would be capped by a lid with the shape of a protective god's head. These special jars were called canopic jars. Four gods were designated to protect the jars, and each of those gods had their own protective companion goddess for extra safe keeping. Each god also represented a direction, so that the organs would be protected from north to south, east to west. Hapi: Baboon-headed god Hapi protected the jar containing the lungs. He was guarded by the goddess Nephthys. Hapi represented the direction north. Duamutef: Jackal-headed god Duamutef protected the jar containing the stomach. He was guarded by the goddess Neith. Duamutef represented the direction east. Imseti: Human-headed god Imseti protected the jar containing the liver. He was guarded by the goddess Isis. 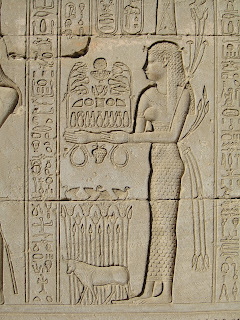 (read more about Isis here) Imseti represented the direction west. Qebehsenuef: Falcon-headed god Qebehsenuef protected the jar containing the intestines. He was guarded by the goddess Serqet. Qebehsenuef represented the direction south. Often, especially in the early period, mummifiers covered the canopic jars with detailed inscriptions and spells to make sure they would perform as necessary in the afterlife. Of note, ancient Egyptians felt the brain served no purpose. Rather than store it for safe keeping, it was drawn out through the nostrils with a long hook so as not to damage the person's skull or face. The brain was then thrown away. of the results. 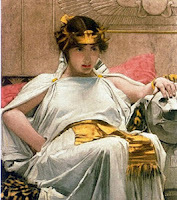 She waits to hear Thoth's judgment. Also of note is what was done with the heart. The heart was considered the most valuable organ in the body. Egyptians believed the heart was used for thinking rather than the brain. Therefore, they did not dare remove it from the body during mummification. It was left inside. The heart would also be needed during a challenging ceremony that a deceased person would have to face once they moved on from this earth. This ceremony was known as the weighing of the heart. 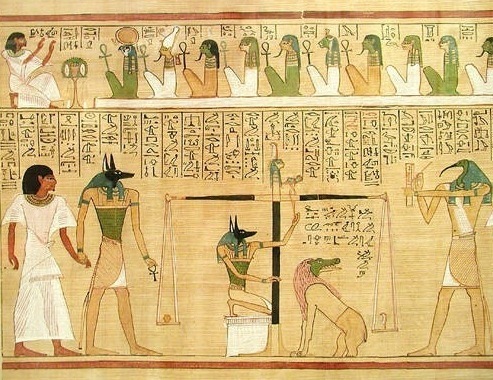 During the ceremony, the person faced several gods, including Anubis. Anubis would use a feather that belonged to Ma'at, goddess of justice truth. Using her feather as a weight measure, Anubis would place the feather on one side of a set of scales. He would then place the person's heart on the opposite side and weigh it against the feather. If the heart was found to be heavier than the feather, it was considered to be weighed down with sin. The supplicant would fail the test, and Anubis would toss it to a terrifying monster named Ammit. Ammit had the head of a crocodile, the shoulders and paws of a lion, and the hind legs of a hippo--all three being the most frightening animals in the country. Ammit would devour the heart of the sinner, and the person would be denied entrance into the afterlife; a horrible fate for Egyptians. Due to the Egyptians' great fear of Ammit and the terrible fate that might await them should their hearts be found heavy, special protective amulets were devised to protect against her wrath. 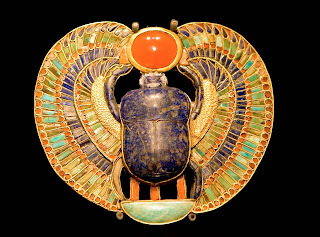 These amulets were often carved in the shape of a scarab beetle, and the scarab amulets were inscribed with spells that urged Anubis to find their hearts light and pure. With the organs safely stored in jars, mummifiers set to work on perfecting the drying process of the body before wrapping the mummy. They eventually settled on a drying time of around forty days. To assist the drying, and also to help maintain the person's shape, the body was filled with stuffing. Surgeons soaked the stuffed body in natron salts to drain away any fluids. After the forty days were over, the stuffing was removed. To understand how effective this drying technique actually was, it is worth mentioning that the average mummy today weighs only around five pounds! Now that the mummy had been dried, priests could move on to the next step. This was the wrapping of the mummy, together with the placement of more amulets. In addition to the scarab heart amulet mentioned above, many other amulets were placed in different locations all throughout the wrappings. These came in different shapes and had numerous purposes. Archaeologists discovered 143 such amulets in King Tut's wrappings. The material used for wrapping the body was linen. Linen is somewhat similar to cotton in that the fabric is made from plants. Linen comes from the flax plant. Linen was widely used for clothing during this time. 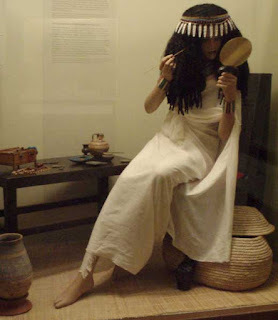 In the case of mummification, an enormous length of linen was used in order to truly seal the body. All told, the average length of the linen, if you were to form it into one single strip, was approximately the length of ten football fields, or a thousand yards! The material used to make the lined strips stick together was resin or tree sap. Here I must note that originally archaeologists thought that the resin used for sticking the strips together was a type of tar. They believed that the tar was responsible for preserving the bodies. The Arabic word for tar is 'mumia'. 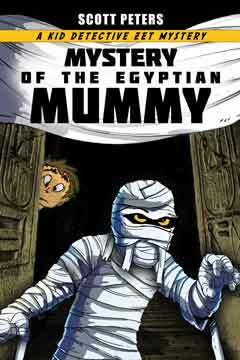 This is where the word mummy comes from. 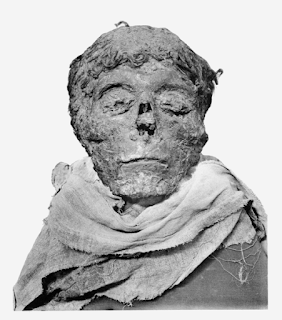 The process of mummification took around seventy days from beginning to end. It was lengthy, involved and therefore expensive. Anyone could be mummified, but only the rich could actually afford it. People could also mummify their animals, and this became popular as well. Cats were often mummified, and cat faces and ears were molded into the wrappings. So many bulls were mummified that they had their own place of rest. 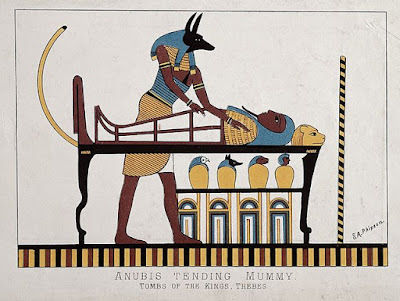 Mummies were buried in both pyramids and tombs, although the majority were buried in tombs. Eventually, the technique sadly began to wane. Priests lost their skills, and they no longer removed the organs from the bodies and placed them in canopic jars. Mummies were not as well made, and so they cannot compare to the mummies during the height of the practice. In the end, it is worth noting that, whether or not Egyptians achieved immortality in the next life, they certainly achieved it in this one. 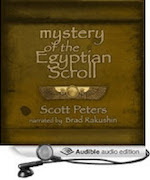 People today are fascinated by ancient Egyptians. They have given us a true gift from the past by maintaining their bodies through the centuries so that we may gaze upon them in wonder, and understand humanity's fascinating past. 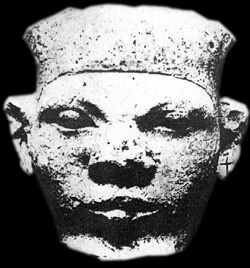 Pharaoh Ahmose I, looking regal and eternal. 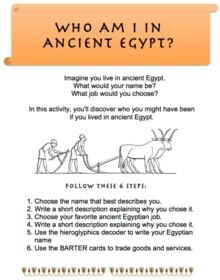 Whether you're a kid, teacher, or a fan of all things ancient Egyptian, we hope you have enjoyed this post about mummies and find it useful for homework projects or to satisfy your curiosity about these impressive historical artifacts from humanity's past.